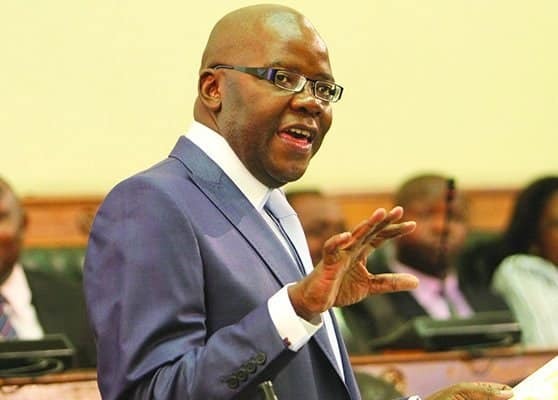 Opposition Movement for Democratic Change deputy chairperson, Tendai Biti has took a dig at President Emmerson Mnangagwa over his decision to set up a Commission of Inquiry into the 1st of August shootings saying he is conflicted as he cannot appoint investigate himself. Making his submissions before the Kgalema Motlanthe led commission, Biti said the terms of reference should have clearly sought to establish the person who ordered troops out of their barracks to kill innocent civilians. The simple term of reference is who ordered the troops out of their barracks and who ordered them to kill unarmed civilians,” said Biti. He also questioned the credibility of some of the commissioners, singling out Professor Charity Manyeruke whom he said is a member of Zanu PF. He also laid into Commissioner Rodney Dixon whom he accused of speaking on behalf of military governments. “I have a problem with commissioner Manyeruke. It is not disputed fact that she is a member of Zanu PF. The decent thing for her is to resign. I have a problem with a barista from UK. I don’t know his name. Hi has a strong relations with military governments,” said Biti. He distanced himself and the MDC from the 1st of August violence saying they were confident that they had won the elections hence they could not spoil their own party. “So there was no way we could have put our people into the streets. There was no reason for us to spoil our party,” added Biti.